Cooking With Swapna: Restaurant Style Karaikudi Kozhi Curry !!! 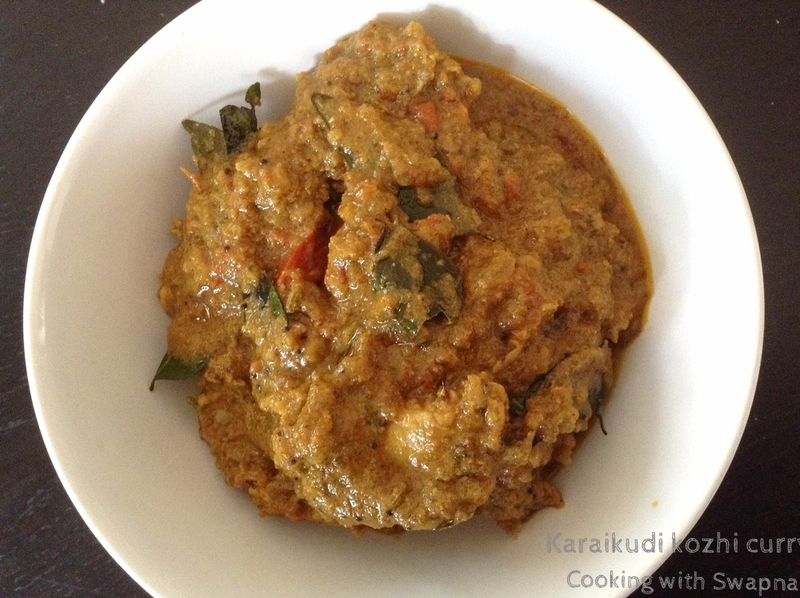 Karaikudi is the biggest city in Chettinad region which is famous for its cuisine. 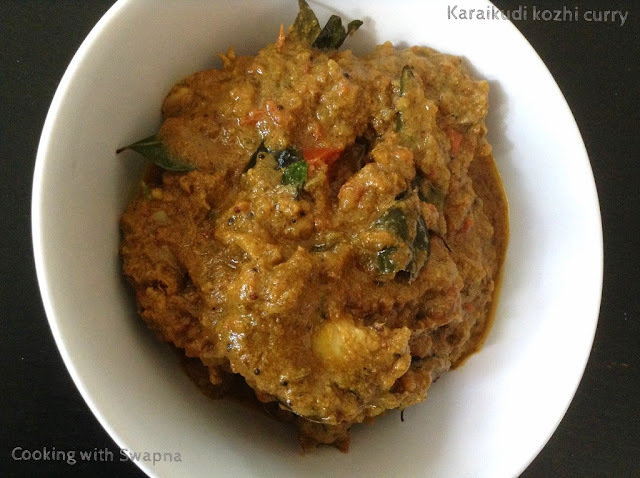 Some of my favourite food in the chettinad cuisine is paal kozhukattai, adhirasam, chicken curry and paniyaram. 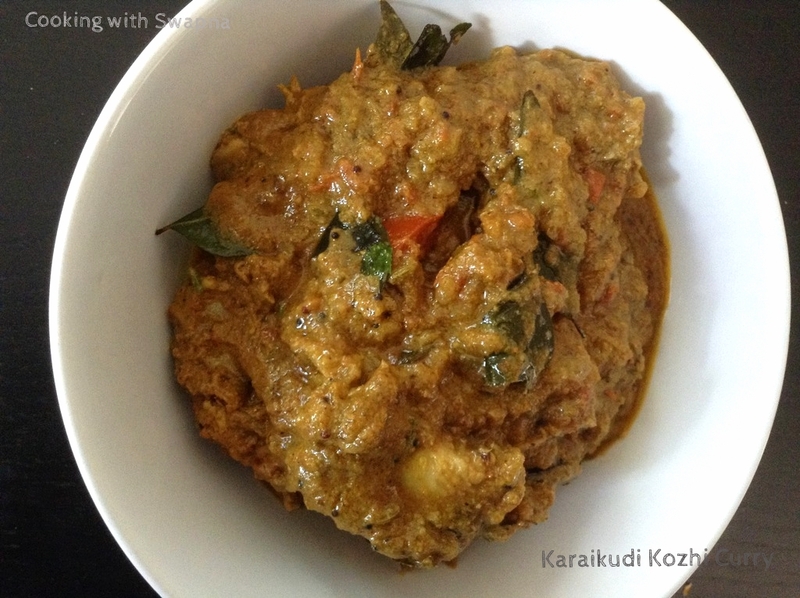 I used gingely oil for making this authentic karaikudi kozhi curry. 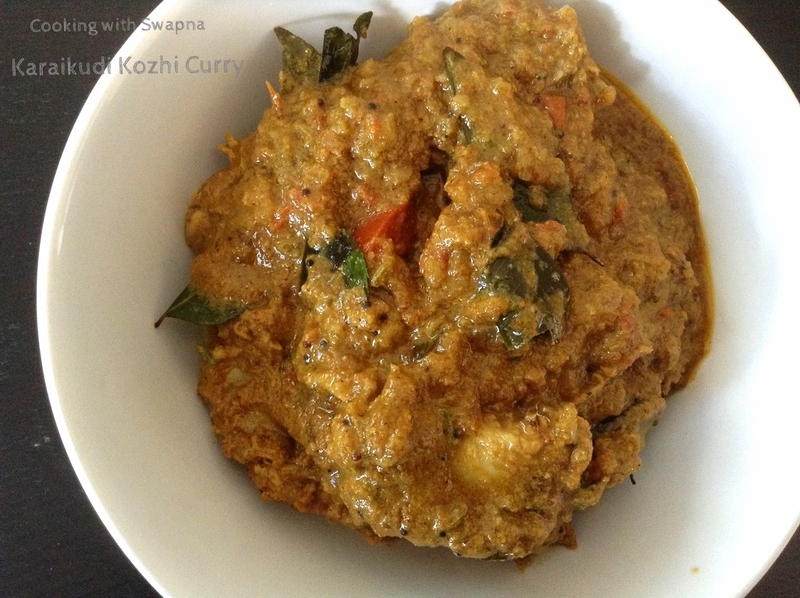 Very flavourful and spicy, taste great with rice, chapatis or rotis. Mix and marinate the chicken for 10 mins. 1. Heat oil in the heavy bottomed pan, add 3 tbsp of oil, mustard seeds, cumin seeds, fennel seeds and finely chopped onion. Saute till tender. 2. Add finely chopped tomatoes, 1 tbsp curry leaves, turmeric powder, coriander powder, chilly powder and marinated chicken. Cover and cook for 5 mins. 3. Add spice paste and enough water. Cover and cook till done. Meanwhile roast 1 tbsp of curry leaves and keep aside. 4. Garnish them with roasted curry leaves, coriander leaves and tomato slices.